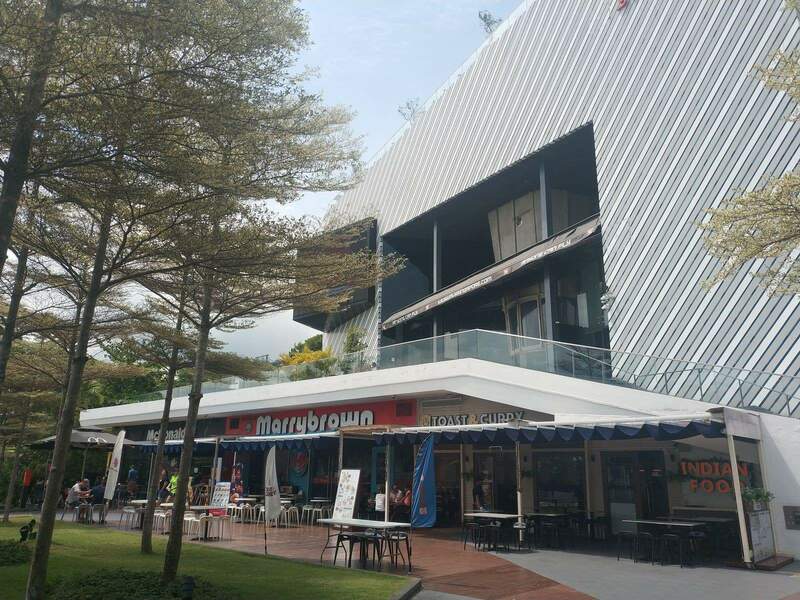 Ever dreamed of trying out skydiving or bungee jumping without the risk? 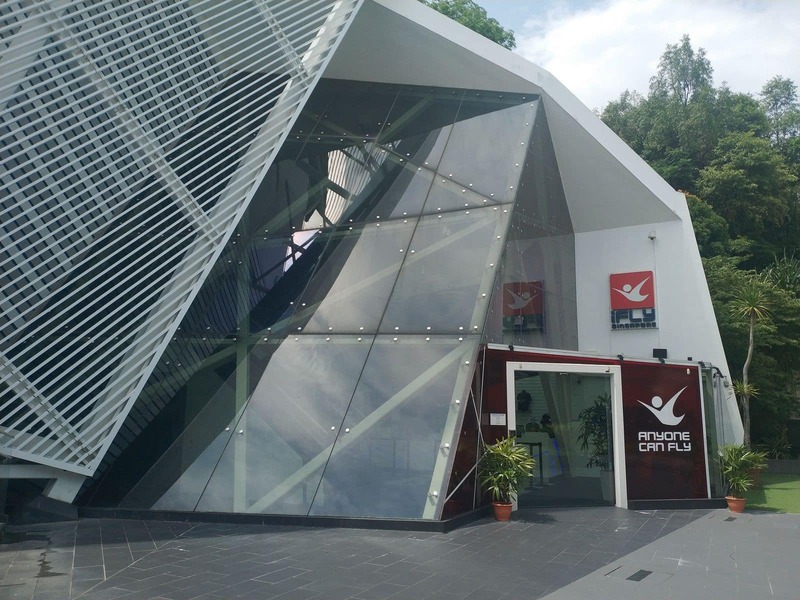 iFly Singapore finally has the answer: indoor skydiving! 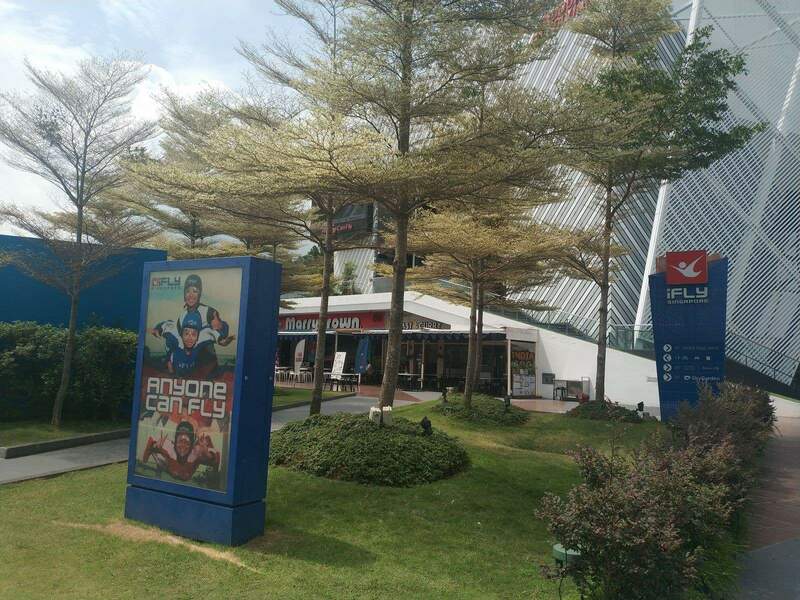 No more jumping from extremely high altitudes, no plunging, no messing up with the weather and no more aeroplanes – nothing else but the exhilarating high of an adrenaline rush. 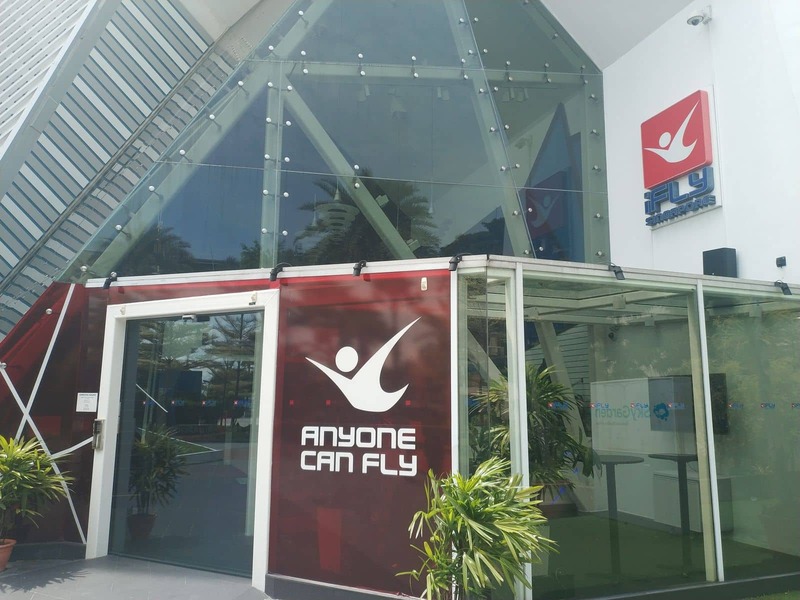 iFly Singapore is serious about giving everyone the opportunity to be airborne, even those who have disabilities. 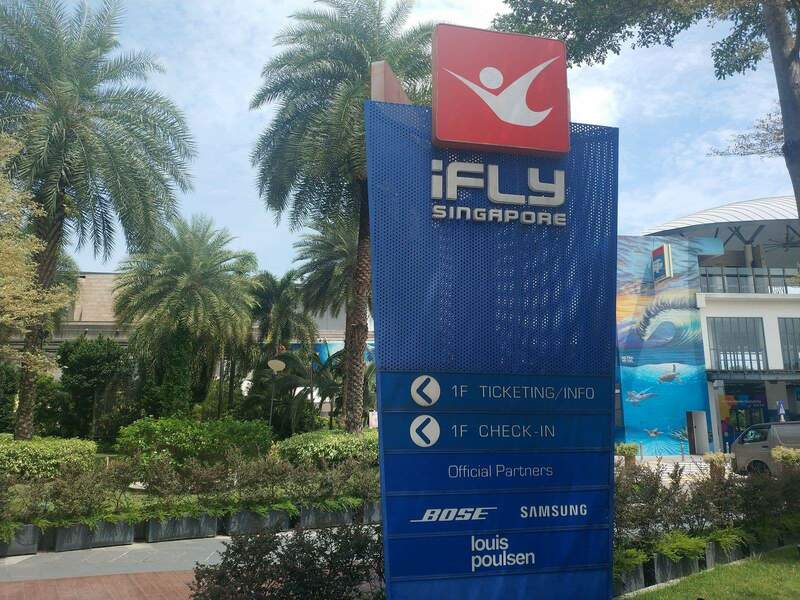 As long as guests meet the basic weight and health conditions prescribed, people who are at least 7 years old may step into iFly Singapore’s flight chamber. 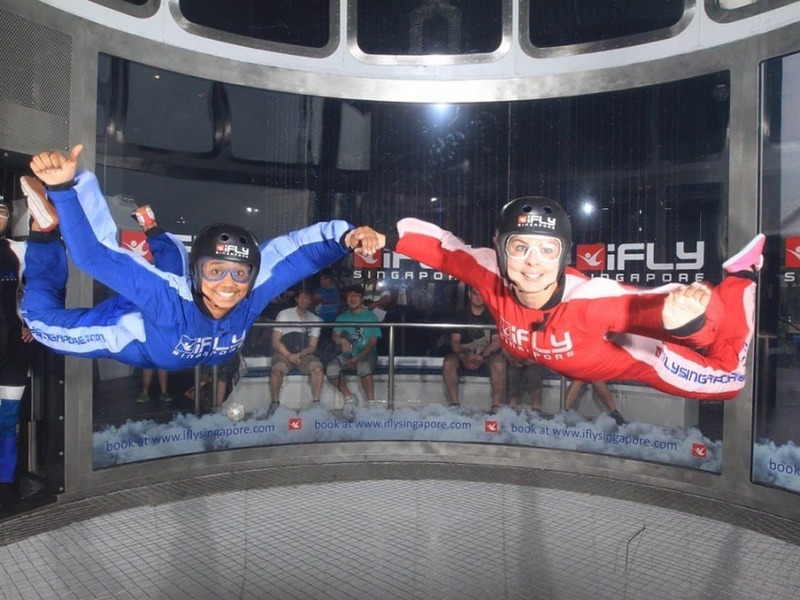 The chamber is large enough to allow two skydivers to experience an adventure similar to that of a tandem jump, at one-fifth the cost! 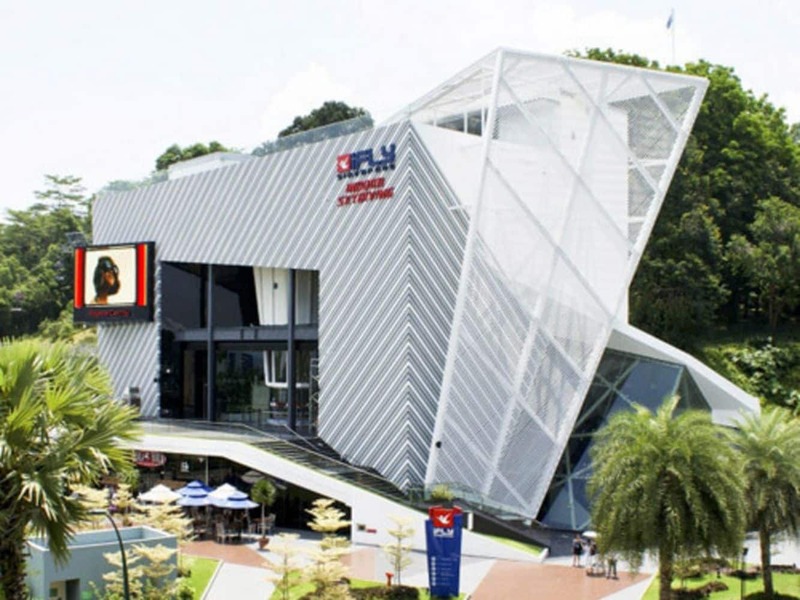 The Flight Chamber is actually a 56.5 by 16.5 feet wind tunnel, comparable to a tower that is about five storeys high. 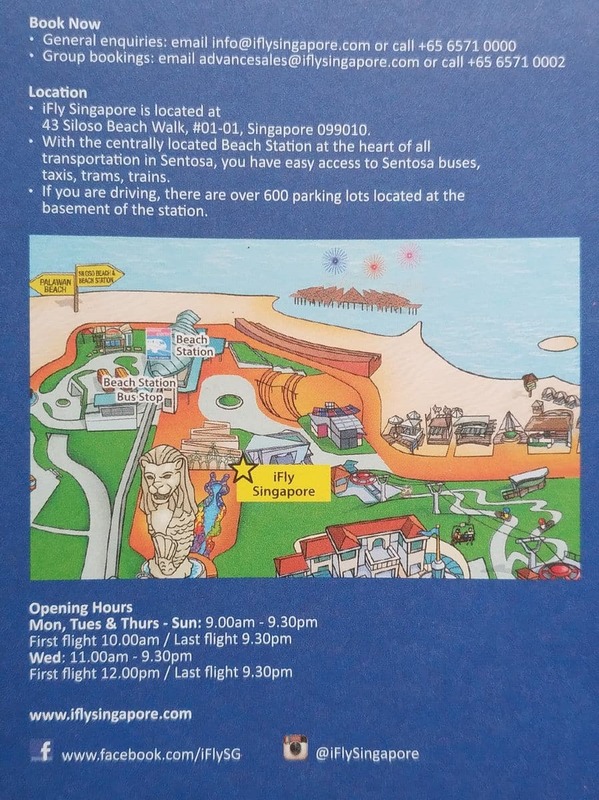 The chamber’s wall is also made of acrylic, thereby allowing guests to ‘fly’ with a view of Siloso Beach and the South China Sea. Those choosing to take part must be no more than 120kgs if under 1.8m tall or under 140kgs if over 1.8m tall. Make sure to wear pants, dresses are not appropriate and closed toe shoes are required. 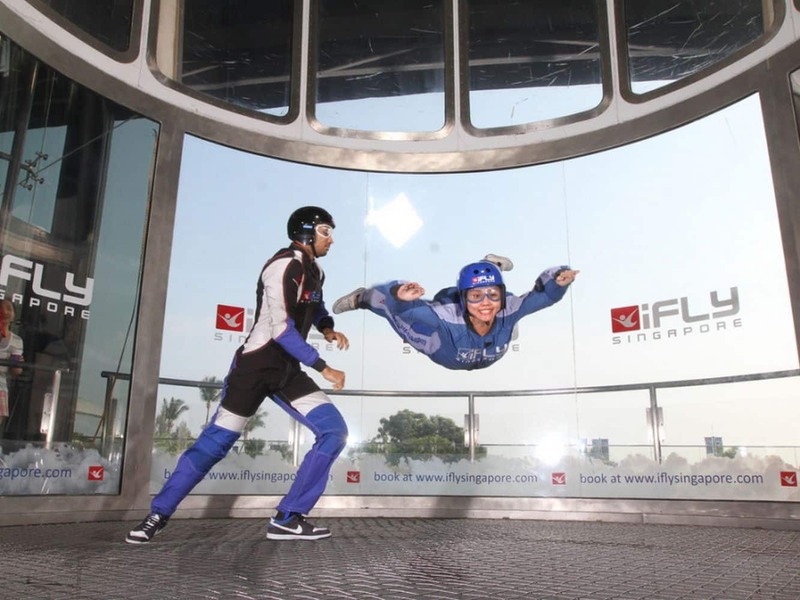 iFly Singapore’s patented technology also allows for more flexibility and ease of movement through airspeed control. 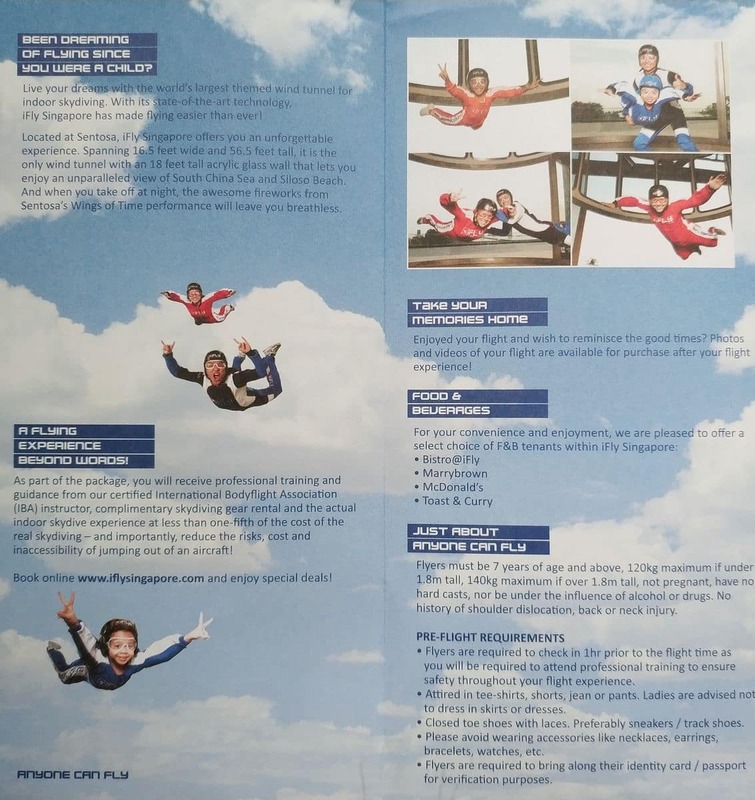 Depending on airspeed, flyers are able to execute various airborne movements such as tandem skydiving formations and sky-dancing. 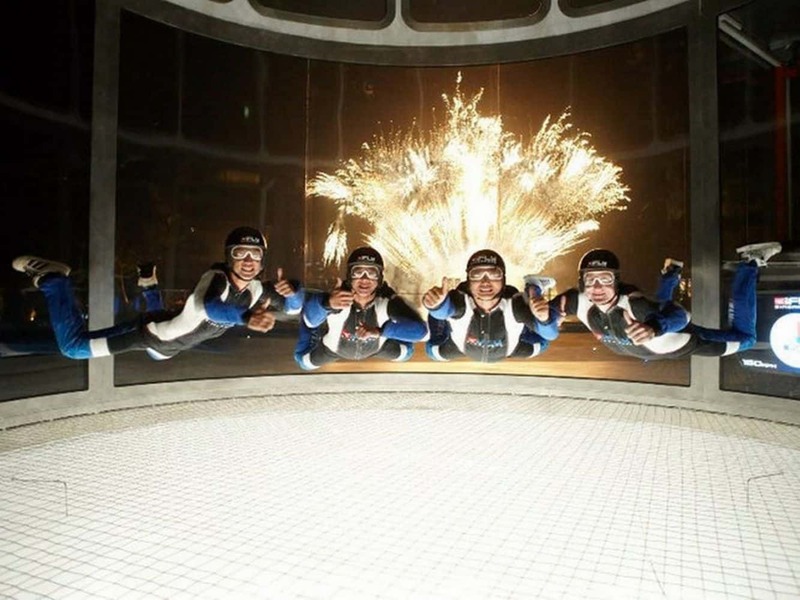 iFly promises each participant the experience of unadulterated free-fall conditions. Participants can spin, cartwheel and do all sorts of stuff while completely levitated and uninhibited by gravity! Each ‘skydive’ in the Flight Chamber lasts as long as a 12,000 feet jump. 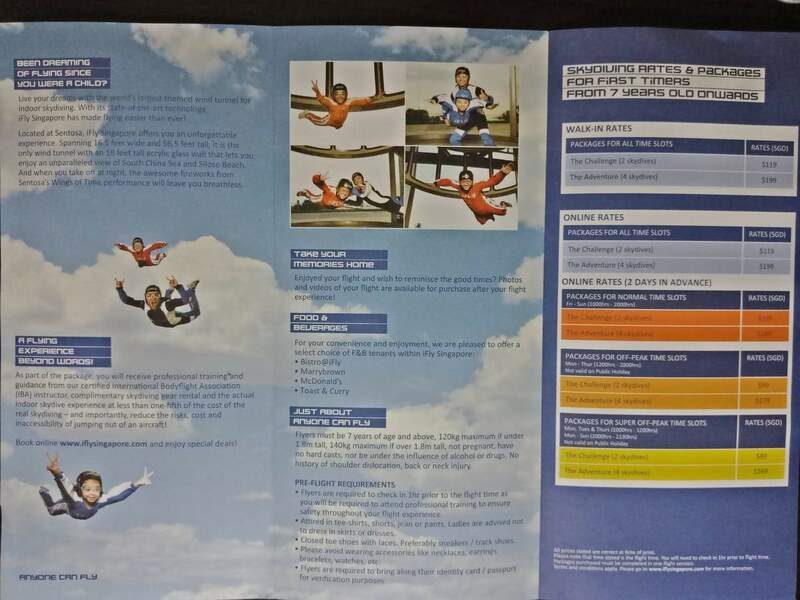 Before stepping into the Flight Chamber, flyers are required to undergo lessons on safety and basic skydiving. 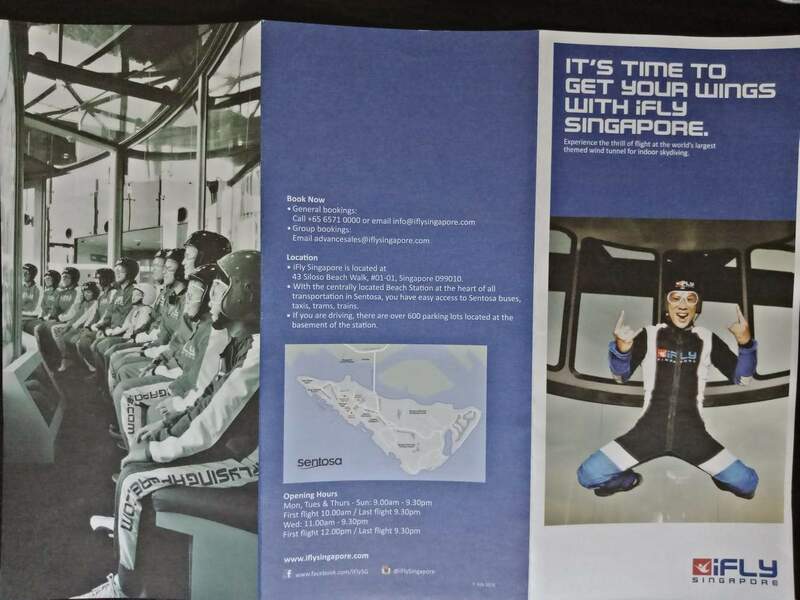 A flyer may also request for one of the 11 certified flying instructors to join him or her in the Flight Chamber. These instructors have been extensively trained both locally and internationally with the governing rules and regulations instituted by the International Bodyflight Association (IBA). 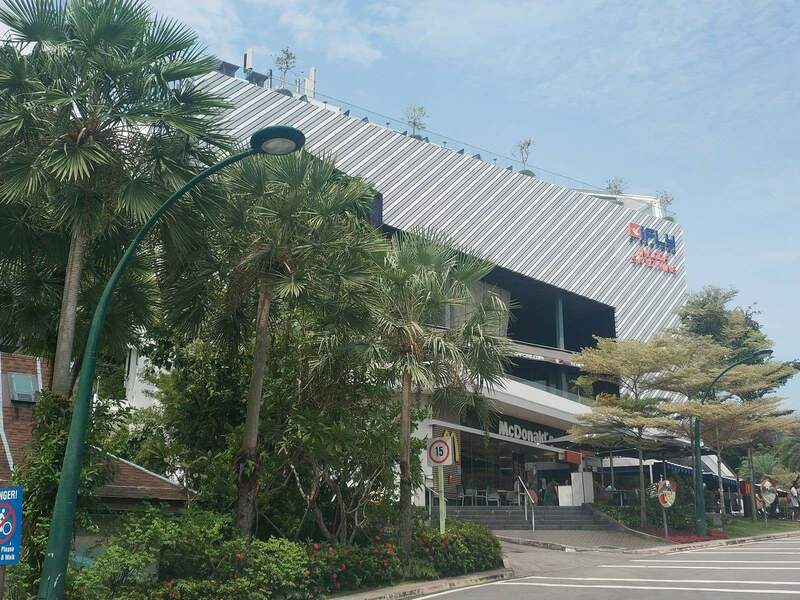 So come and try out skydiving in a truly unique way during your next trip to Singapore.